The Lost Summer of Louisa May Alcott [Giveaway] – my books. my life. Today is your lucky day. Well, for two of you. 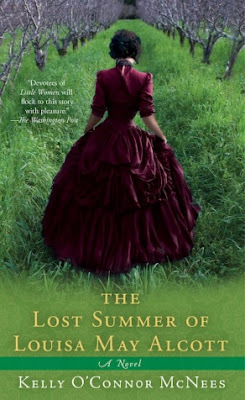 I am giving away TWO copies of The Lost Summer of Louisa May Alcott by Kelly O’Connor McNees. You may remember me telling you to read this book when it was released last year. Well, today it comes out in paperback. So even if you don’t win the giveaway, you should probably just go buy it (and follow Kelly on Twitter – she is entertaining). I will use Random.org to pick the winners. Thanks to the folks at Berkley (Penguin) for making this giveaway possible. I won’t enter the contest since I already own this one, but I will say I *loved* this book! Such a great blending of fact and fiction – hope the lucky winners enjoy it! I’ve wanted to read this for some time now. Thank you for the opportunity to win! I can’t enter this since I live in UK but I’ll definitely buy this! The perfect summer book.